February 4, 2019 February 4, 2019 Framingham Source Editor Susan Petroni 33 Views 0 Comments Framingham Housing Authority, Framingham Housing Executive Director Paul Landers. FRAMINGHAM – The Housing Authority announced today, February 4, the launch of its newly redesigned website – www.FramHa.org. The website has been refurbished to encompass a variety of goals focused on creating an accessible and engaging experience for all visitors to the site, said the Authority in a media release. The enhancement of the site’s main navigation enables users to intuitively surf through a profusion of valuable information which meets the Standards for Accessible Design outlined in the Americans with Disabilities Act (ADA) while remaining visually appealing. The new website was built to neatly house resources for qualifying individuals and families consisting of forms and program information on Public Housing, Section 8 Leased Housing, Mortgage Assistance Programs, Homeownership, Rental Opportunities and Family Self Sufficiency programs in Framingham. The site also offers residents an opportunity to sign up for news and announcements from the Framingham Housing Authority. Accompanying the newly redesigned website, the Framingham Hosuing Authority has launched a Facebook page as a medium to connect with residents, the community and visitors seeking more information. Residents and visitors are encouraged to “like” and/or “follow”@FraminghamHousingAuthority on Facebook to stay up-to-date on current news, information and events from the Framingham Housing Authority. “The updated website and coinciding Facebook Page will assist the Authority in accomplishing its mission to provide affordable housing in the City of Framingham by providing current information of the work that we are doing and the extensive housing development opportunities that create more sustainable communities,” said Executive Director Paul Landers, [Framingham Housing Authority]. “I see this as an important tool in empowering our residents and being able to keep them informed. “We want the local community to explore our website and become informed about the great asset that the Housing Authority serves as and the vital role we play — not just in the lives of our residents but in the community as a whole,” said Landers. In collaboration with the Framingham Housing Authority, Capital Strategic Solutions, LLC planned, designed and developed the new website that serves the community. The site was developed to provide the Housing Authority staff members an easy-to-use content management system for editing and maintaining their website. The ability to add, update and rearrange pages on a regular basis in-house, makes the new website a powerful and flexible communications tool that can grow along with the needs of the community. “There were three goals that we had in mind when we began to work on this project. We wanted to give the Framingham Housing Authority a site that could be easily be managed and maintained, was designed with an attractive aesthetic, and we wanted to ensure that the information posted would be ADA compliant so that the residents and visitors of the site would find it useful.” said Capital Strategic Solutions, Partner, Michael Tusino, IV. “I am extremely happy that the Framingham Housing Authority chose our firm to help them to develop a new website. Having spent the last ten years of my career in Framingham, I had a vested interest in making this project a success. 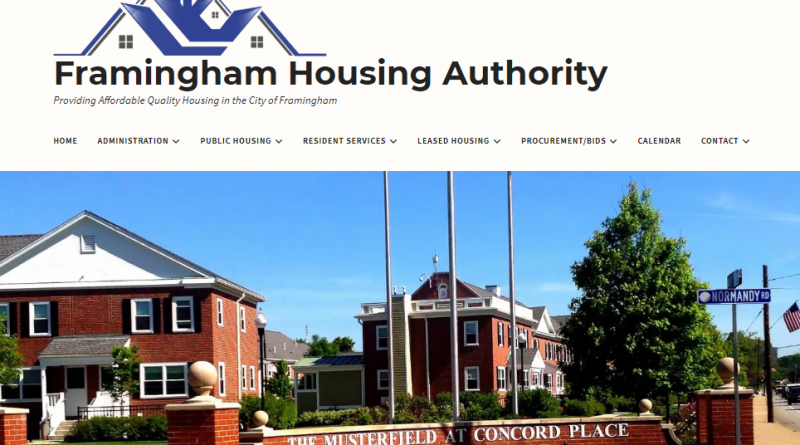 The residents and visitors of the Framingham Housing Authority website deserve an easily navigable platform that is transparent in its function and makes valuable information accessible to all.” added Nichol Figueiredo, Partner at Capital Strategic Solutions.